Let’s get straight up and honest here. I am no where near being a health food nut. But I am well aware that my cravings for crunchy, salty snacks like chips get the better of me. And though I believe that indulging and giving in to that need is ok once in awhile, I know that chips are neither good for my health nor my waistline. Krispy Kale Krisps are the perfect answer! Not only do they taste great, they are actually good for you. My son and his girlfriend have been making these for years. Let me warn you. The kitchen smells like crap when you are making these. And that is the main reason I turned my nose up at trying them. Literally. But I gave in last week and I was shocked. I actually liked them! Pair that with the many health benefits associated with kale, and you have yourself a snack that satisfies not only your taste buds but does your body good. Talk about a win-win. These Krispy Kale Krisps are the perfect snack to satisfy your crunchy or salty cravings. Packed with a flavourful punch and filled with nutrients, they are guaranteed to meet the needs of your taste buds and your waistline. Clean and dry kale with a paper towel. Drizzle olive oil over kale and mix well. This is what gives your kale the crispiness so make sure every leaf coated. Sprinkle each spice over kale, one at a time and mix well between additions. Line a flat, non stick baking sheet with foil for easy clean up. Spread kale evenly on baking sheet. Rotate pan and bake for a maximum of 10 more minutes. Second baking time may vary. Watch kale closely and remove when crispy. 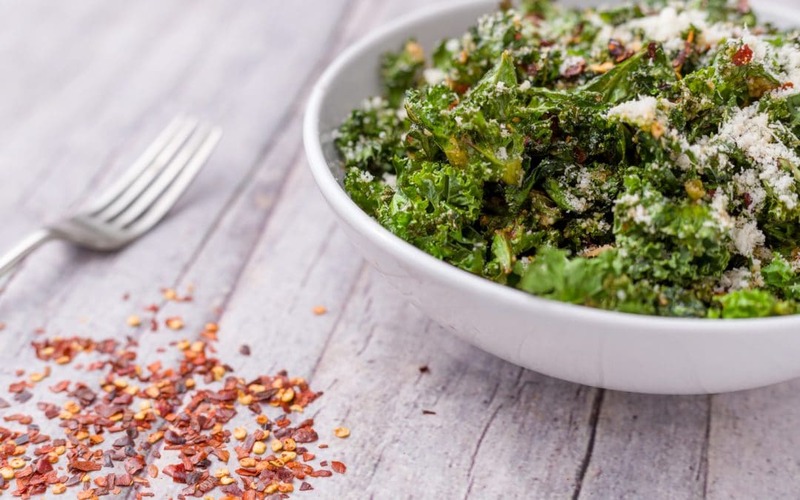 Transfer kale to serving bowl and sprinkle with parmesan cheese as desired. If you do not like a lot of spice, do not add the cayenne pepper powder. 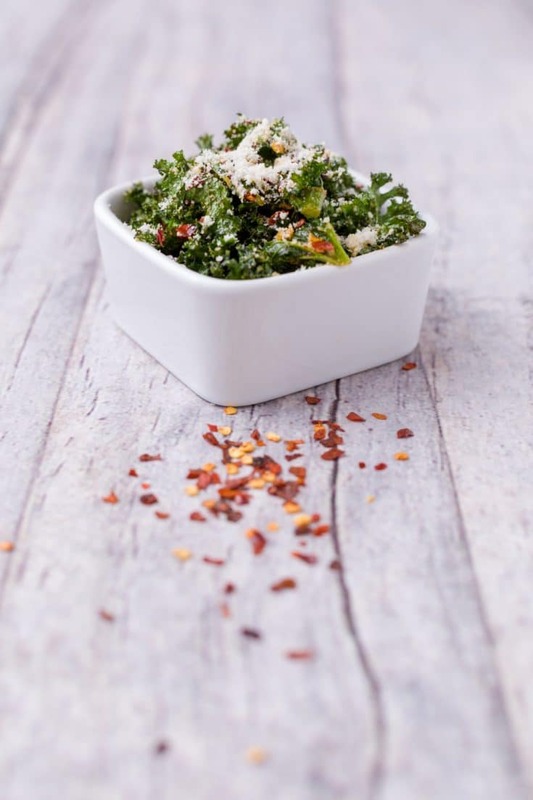 Try this Kale Quinoa Pomegranate salad too!